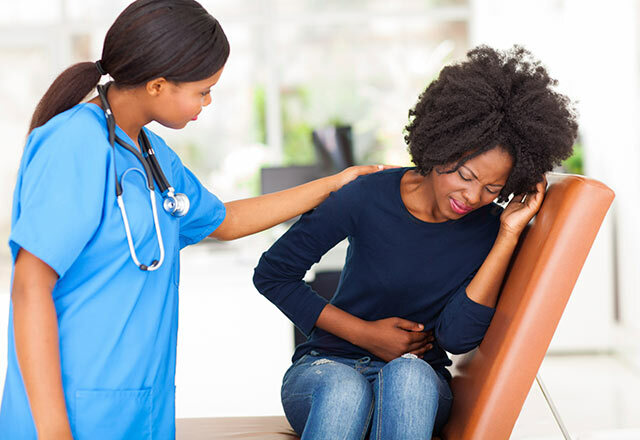 Stomach ulcers are a common condition in Kenya affecting people of all ages. A sedentary lifestyle, coupled with profound stress levels only makes the situation worse. Stomach ulcers are open sores in the stomach or intestinal lining which are extremely painful due to the acid secreted in the stomach. Ulcers form when the thick layer of mucus in the stomach lining is reduced thus lowering the lining’s defence against stomach acid. Digestive juices and acid eat away at the tissues in your stomach lining and sores form. Medication: Over the counter drugs, antibiotics, antidepressants, painkillers and non-steroidal anti-inflammatory drugs like ibuprofen can cause stomach ulcers. Taking these drugs for prolonged periods at high doses and laying down immediately after taking your medication causes stomach ulcers. Helicobacter pylori (H.pylori) infection: This bacterium spreads through contaminated food and water and has been identified as a carcinogen by the World Health Organisation. It is a common bacterium and most people don’t realize that they are infected because it doesn’t show any symptoms. It irritates the stomach lining breaking its defence against stomach acid. Hyperacidity: This may be caused by genetics, stress, excessive alcohol consumption and spicy or oily foods. Smoking lowers the effectiveness of treatment and increases the risk of getting stomach ulcers. Stomach ulcers are characterized by heartburn, nausea, poor appetite, stomach cramps, weight loss and acid reflux. If not checked, stomach ulcers may lead to cancer or form a hole in your stomach which would necessitate immediate surgery. Diagnosis is usually arrived at through endoscopy and blood tests and treatment is administered depending on the cause and severity of your symptoms. Try as much as possible to avoid trips to the doctor, because medications come with a variety of side effects. You can develop tolerance or dependence to acid blocking drugs and reduce your body’s immunity against food-borne infections like food poisoning. That means that if your stomach is infected in future, the acidity levels will be too low making the infection worse. Yogurt has probiotics – live bacteria that work against the harmful ulcer causing bacteria in your gut like H. pylori which may lead to stomach cancer. Probiotics also minimize the side effects of taking antibiotics which makes yogurt a power food for patients with stomach ulcers. Probiotic yogurt helps to balance the stomach flora and kill H. pylori without antibiotics. 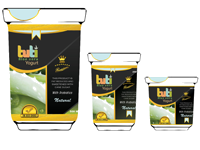 The good thing about Tuti yogurt is its high probiotic content and Aloe Vera content. This low sugar yogurt combines the goodness of probiotics with benefits of Aloe Vera Barbadensis which is packed with vitamins and immune boosting properties. Ingesting Aloe Vera as juice or as an additive to yogurt will help reduce inflammation in your stomach and prevent internal bleeding. In the same way Aloe Vera soothes burns, it pacifies your ulcers and promotes healing. It also flushes toxins from the walls of your digestive tract, so that nutrients are well absorbed. Take aloe vera yogurt or juice before meals. Garlic’s antimicrobial activity blocks acid and suppresses H.pylori bacteria, preventing you from getting stomach ulcers in the first place. Though you may want to ingest garlic in your cooked food, raw is better. Chew 2 cloves of garlic with a tablespoon of honey every day. Apples are rich in flavonoids and fibre. Flavonoids limit further growth of ulcer-causing bacteria while fibre fast-tracks healing. An apple a day does keep the doctor away. Honey contains an enzyme-glucose oxidase that produces hydrogen peroxide which in turn kills ulcer causing bacteria. However, it must be raw, unprocessed honey. Take two tablespoons a day and one tablespoon a day once your symptoms have improved. If you are looking for a natural antacid, unripe bananas will fit the profile. Compounds in matoke increase mucus in the digestive tract and promote cell growth in the intestines. Actually, the water-soluble polysaccharides found in unripe bananas are used in anti-ulcer medications. Avoid frying your matoke as fat may irritate the stomach. You can live an ulcer-free life by observing a proper lifestyle and healthy diet. If you would like to supplement your daily diet with a probiotic-rich superfood that’s low in sugar and fat, make an order today.